Ted de Jong and Coen Helfenrath came together in a small cottage in the woods of the Netherlands in 1991. 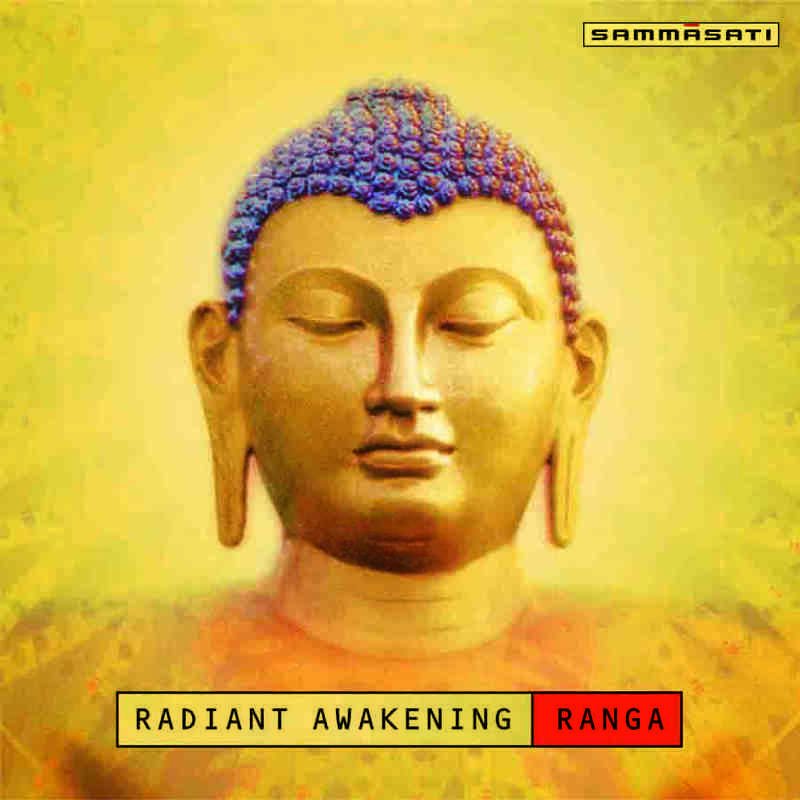 Together they discovered a musical synchronicity between them that led to a long and successful collborative career as Ranga, meaning “color” in Sanskrit. For Ranga’s third album, Radiant Awakening, de Jong and Helfenrath explore a more lyric side of their music. They are accompanied by violinist Lenneke van Staalen, who creates lovely melodic lines in the Northern Indian classic tradition. Ted de Jong, born in Amsterdam in 1954, began studying the tabla at the age of fourteen. Among his teachers were the late Ustad Latif Ahmed Khan and Ustad Faiyaz Khan, who were largely responsible for training de Jong, who would emerge as one of the foremost Western tabla players of today. He has vast experience in the world of classical Hindustani music, accompanying many well known artists, including Sachdev, Prabhatre, Sruti Sadolikar, Ustad Rais Khan. Pt. Ram Naryan, Pt. Budhaditya Mukherjee, Pt. Hariprasad Chaurasia, and many others. As well as being a performer, de Jong has lectured and taught at the Rotterdam Academy of Music and Dance in the Netherlands since 1987. In 1999 he became coordinator of the school’s prestigious Indian Music Department, which welcomes guest teachers like Ustad Faiyaz Khan, Pt. Buddhadev Dasgupta, Pt. Budhaditya Mukherjee, and Pt. Hariprasad Chaurasia on a yearly basis. For Ted de Jong, classical Indian music is the fundament of his musical training. In addition to his specialization in the art of tabla, de Jong has studied sitar as well as classical Indian vocal music, which he studied with the late Ustad Yunus Hussain Khan of the Agra Gharana. From this basis, de Jong has sought out new ways of presenting Indian music to a wider audience through experimental (fusion) projects with other traditions. His collaborations have included performing and producing work with Florian Friecke (Popol Vuh), Al Gromer Khan – although in a more classical context, and Klaus Wiese, with whom he produced several CDs. From 1980-85, as a multi-percussionist, he toured world-wide and released six albums (Polygram, EMI) with the group Flairck. 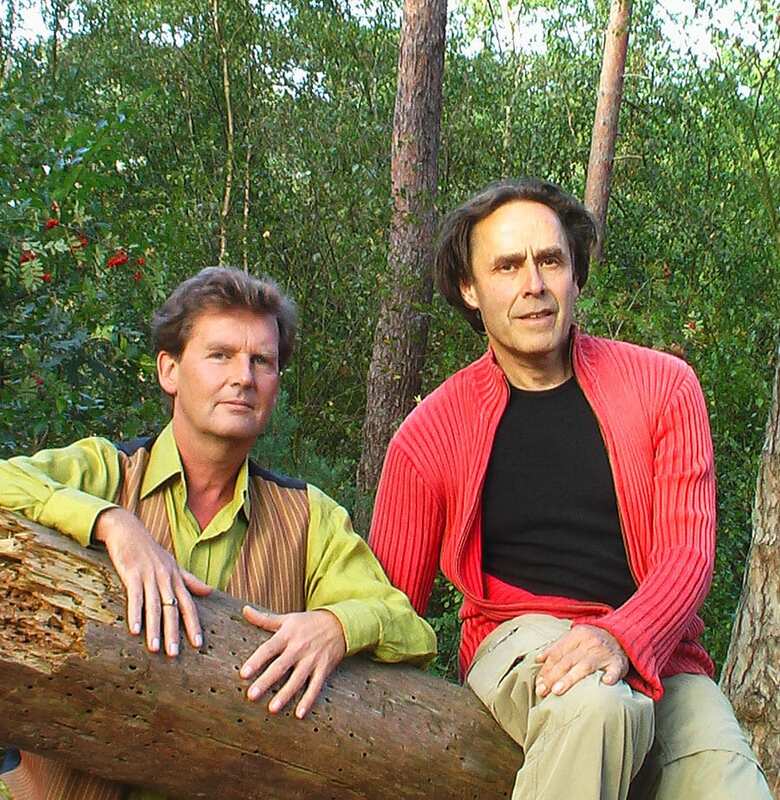 Ted de Jong and Coen Helfenrath began collaborating in 1991, working together on several projects and producing the CDs Tabla Trail, Translucid Memories, and Radiant Awakening. The son of a goldsmith and clockmaker, Coen Helfenrath was born in Holland in 1950 to a music-loving family. He took classical piano lessons for two years as a young child, although he preferred playing soccer to practicing his scales. His interest in the piano and in music revived after high school when he formed the pop group Alpha Centauri with Marten van Batenburg. Helfenrath earned a degree in psychology and began a 25-year career as an astrologer. Music became an increasingly important element in his life. Throughout the 1980s he collaborated extensively with the Dutch musician and artist Rinse Posthuma, including composition for films, theatre and dance performances, improvisations with other musicians, and pop songs. In 1988, Helfenrath also wrote a song-cycle based on the works of Edgar Allen Poe He also has worked with emerging artists in developing their singing potential and self-expression. In the summer of 1991 a few musicians came together in a small cottage in the woods in The Netherlands. For years this place had been a musical hideaway and later came to be called the House to Hyde studio. The aim of the project, called Eaon, was to explore new ways of improvisation through expressing the silence and tranquility of nature. Ted de Jong and Coen Helfenrath took part in this project and discovered a musical synchronicity between them that led to a long and successful collaborative career as Ranga. For Ranga’s third album, Radiant Awakening, de Jong and Helfenrath explore a more lyric side of their music. They are accompanied by violinist Lenneke van Staalen, who creates lovely melodic lines in the Northern Indian classic tradition.